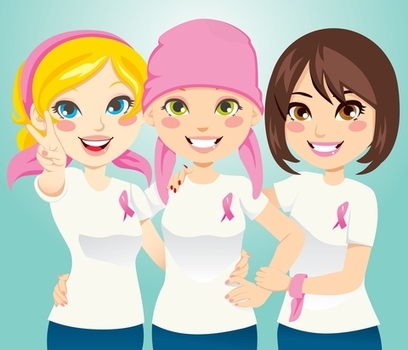 Cancer is and shall never be a death sentence. It is a wake up call that you are living a toxic life and you NEED TO CHANGE. My program is extremely intense and some may say difficult. It is a program meant to get you back in physical shape QUICKLY. We will be detoxing, cleansing and rebuilding your system. It is not a system for wimps. Below we will give you a day to day accounting with what you must do. The only day of rest you will have will be day 1 as you get use to the protocol. From day 2 forward there will be many steps you must do. You will be doing liver flushing, parasite cleansing, the Kelly stage 4 butter sandwich, taking onion juice and many more things to improve and revitalize. 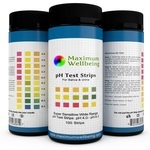 You must buy the PH strips as you will be measuring your PH daily. Your PH must be 7.35 or more. Cancer cannot survive in a PH world of 7.5 or more. Cancer cannot survive in a clean liver. From now on you will start on an intense program to save your life and get back on track. This is the official "I Want to Live Page." One of the single most important facts of this program is faith. Faith heals and conquers mountains. Little or no faith, go pick a new program. The basis of this protocol is with black cumin, which has more than 900 peer reviews on different diseases and illnesses it has healed, cured or treated successfully from migraines to Pancreatic Cancer. Some of the cancer studies shown successful were with Pancreatic, colon, breast, prostate, breast and more. With Pancreatic tumors, Kimmel University showed that they were able to kill up to 82% of the tumors compared to conventional treatment that has only a success rate of 4.1%. Why is there such a low result using chemo and Pancreatic Cancer? Simple, in most cases Pancreatic cancer is discovered in late stages due to the fact it has no signs in the early stages and so by the time the cancer is discovered treatment is at best minimal. Chemo has been shown to successfully cure 2.1% of cancers after 5 years. So I am pleased to present this aggressive and highly successful new program to help you rev up your body and clear the toxins in a record amount of time. We will be showing you how to be well and live a healthy productive life IF YOU FOLLOW THE PRESCRIBED PROGRAM. I have experimented with many recipes over the years and my new protocol is the best I can find. This new very simple way will free up your day and help you not worry about measurements. Simply take 1 tablespoon of black cumin oil and one slightly heaping teaspoon of my Super Energizing Honey and place in a large mug full of how water. Add in one black seed tea bag or herbal tea if you prefer and enjoy. Take this 1/2 hour before breakfast unless we have you on a cleansing protocol and in that case you will take this in the afternoon on an empty stomach. The cost of this program is $265. It is my honest hope after one month you can go on a maintenance program or a reduced program that will simply be a program to build on what you already have. Postage is Included in the Program fees. You must purchase the PH strips listed below on the right or from your local drug store. WE will be working on raising your PH levels to a minimum of 7.35. Start your day with the black cumin toddy posted above. You must wait 1/2 hour before eating anything. You will be taking the apple cider vinegar daily so you can begin the liver flushing in 5 days. Wait 1 to 2 hours later and have the Budwig Mixture listed on the Diet Page. For lunch eat any of the foods on the Alkaline list with a minimum of acidic foods. You can eat the Chris Wark big Cancer Salad which is filling and full of nutrition. Make sure to add one teaspoon of the organic luffe to the salad. Read the Chris Walk Big Cancer Salad. You must take 21 capsules of the olive leaf/pomegranate mixture and 4 capsules of the Palestinian mixture daily. You also need to take 6 capsules of the turmeric mix daily. So prepare all your capsules and place them near an area to remind yourself that this needs to be done. You also must take one to two teaspoons of the black seed dip daily or you can put the entire pak of dip in a bread dough you make homemade. The bread dough must be made with baking soda and not yeast. On day 6 thru the rest of the month you can make a green smoothie for breakfast and add in 1 tablespoon of the olive leaf mixture and not have to take those in capsule forms. On days 2 thru the end of the month you will only need 9 capsules of the olive leaf/pomegranate mixtures. In the Afternoon you will need to juice your carrots. You need a minimum of 1 pint, but better 1 quart of carrot juice. In the juice you must put 1 small red onion as onion juice has been used for hundred of years to cure cancer with. Taking it in your carrot juice will make it much easier on your system. You can add in celery, cauliflower, pineapple or a Granny Smith Green Apple, broccoli, cucumbers or any number of other veggies. You need a minimum of 6 regular size carrots in the juice. For your snack in the evening you can have a Budwiq mixture or some veggie sticks and some raw yogurt. If you get hungry drink some herbal tea that is included in your protocol. Make a small pot and keep the tea in the refrigerator. When you are hungry heat the tea up again. Use no honey in the tea and never take more than 2 paks of raw Stevia per day. Besides your diet you need to take Vitamin D3 daily. Have your levels tested and if you are deficient take 5000iu and if you have normal levels you need 2000iu. Make sure to buy a good brand. You will also need 30 minutes of moderate exercise. Rebounding is best and rebounders are very inexpensive. If you do not have a rebounder, walking is ok but do not run or exert yourself. On these days you will follow the protocol above except you will only be taking 9 capsules a day of the olive leaf/pomegranate mixture. You will be taking the apple juice for these 4 days and on day 6 you will be doing the egg yolk liver flush. Remember with the first use of the bathroom, you must check your PH. Your goal is to continual increase and never decrease. So if one day your PH goes down, you must stick to a highly alkaline diet that day. It is like using the bathroom scale daily. Watch your weight and your PH. Too much weight loss and you need more high caloric foods. * This is optional treatment, but highly recommended. What is different on days 2 to 5 is we will be adding in the Kelly Stage 4 Butter Sandwich. You can eat this in the evening or anytime you can fit this in your schedule. You will find it hard to include all the necessary foods and juices, but you must try. Take two slices of 100% whole wheat bread and spread one slice with real butter, not margarine. On top of this you will be adding 2 teaspoons of the cayenne pepper included. On top of the cayenne you will be adding 3 cloves of garlic that are minced. Place the second piece of bread on top and get a huge glass of water. This sandwich supposedly cured Kelly's stage IV cancer and I take this regularly. I will warn you it takes getting use to. It is extremely hot, but it is very good to open up your veins and chase away your pains. Please do this for 4 days in a row. These 4 days is all you have to do this sandwich on unless you need more than one month to cure your cancer. For me I changed the recipe slightly. I use labane instead of the butter. Labane is yogurt with all the liquid drained off where you have a very thick cheese. You can drain the whey off by placing a cotton cloth on a strainer. Pour 1 quart or more on the cloth and allow to drain for a full 24 hours. Take the cheese and put in a closed container. The egg yolk liver flush - a clean liver cannot have cancer. We will be doing this twice during the month. First thing in the morning you will be doing this flush. Do not drink the toddy, leave that for later on. First thing in the morning you must flush your liver. This is a much milder flush than the Hulda Clarke Flush. Follow the directions and then begin your protocol as listed above. You will do this egg yolk flush 4 days in a row.